MANIWAKI, QUEBEC, February 5, 2012 - Antoine L'Estage (St-Jean-Sur-Richelieu, QC) and Nathalie Richard (Halifax) opened their 2012 season by winning the Rallye Perce-Neige in Maniwaki, QC, the first event in the Canadian Rally Championship, Presented by Subaru and supported by Yokohama. Perce-Neige is just the second event for L'Estage in his new car, and already, he's comfortable, setting the pace from the first stage. Smart tire choice and road position allowed L'Estage and Richard to open up a small lead over rivals Pat Richard (Squamish, BC) and Alan Ockwell (Toronto) of Subaru Rally Team Canada. Richard and Ockwell landed heavily on a jump on the second stage, damaging the car and losing boost, and then losing brakes. Despite this, the pair was only 27 seconds back from the lead at the first service. They would only run a few more stages before parking their car with driveline problems. Podium regular Leo Urlichich (Toronto) and co-driver Carl Williamson (Swansea, GB) got off to a rough start. Timing mistakes on the first few stages led to six minutes in penalties, and the pair were pushing to make up time and positions – perhaps a bit too hard. A spin on a fast straight damaged the back end of the car, but the two were luckily able to continue. Incredibly, between a fast pace and misfortunes of rivals, the pair were able to climb up the order, finishing second overall. Sylvain and Simon Vincent (Terrebonne, QC), who were aiming for a top five finish, also benefitted from other's troubles, and the cagy veteran was well aware of what strategy leads to success. “You have to pace yourself at a rally like this,” said Sylvain at the midday service stop. “It's such a long event, you need to make sure you don't get too tired, too early. You can lose concentration and make mistakes.” A mistake is exactly what destroyed the podium hopes for Bruno Carré and Yvan Joyal, both of Laval, QC. The pair rolled late in the rally, and though they managed to finish, they dropped from second overall to eighth. That allowed Sylvain Vincent to move up to third overall, earning valuable points towards his goal to rank in the top ten lifetime driver rankings. In Two Wheel Drive, a battle appeared to be brewing early on between the team of Peter Kocandrle and Angela Cosner, and Thierry Ménégoz and Guillaume Béchard. After two stages, the teams were just 0.1 seconds apart. However, Ménégoz struggled to find grip and dropped down the order before retiring. Kocandrle took advantage of his growing lead and lessened pressure to open a lead of more than 20 minutes over his closest competitor. The Rallye Perce-Neige is the first round of the six event Canadian Rally Championship, and is made up of 16 stages, totalling 248km of competitive distance. Canada's only true winter rally, roads are covered in ice and snow, but teams are forbidden from using studded tires, requiring a smooth hand at the wheel for a driver to be successful. 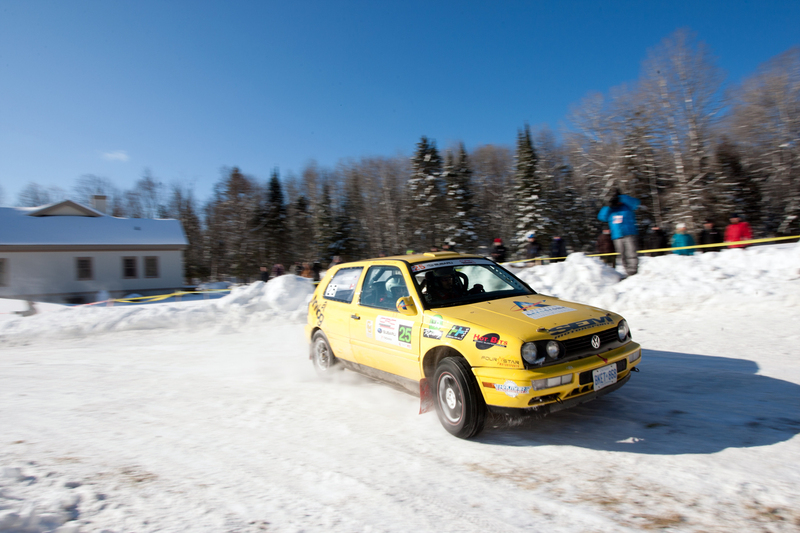 The Canadian Rally Championship is comprised of six events held nationwide in a season that extends from February to November. The series is presented by Subaru Canada, supported by Yokohama Tire Canada and features contingency programs from Subaru Canada and Mitsubishi Canada. 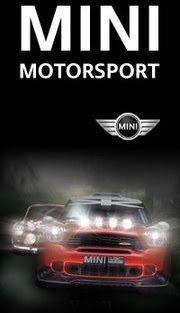 The Canadian Association of Rallysport (CARS) is the official sanctioning body for rallying in Canada.